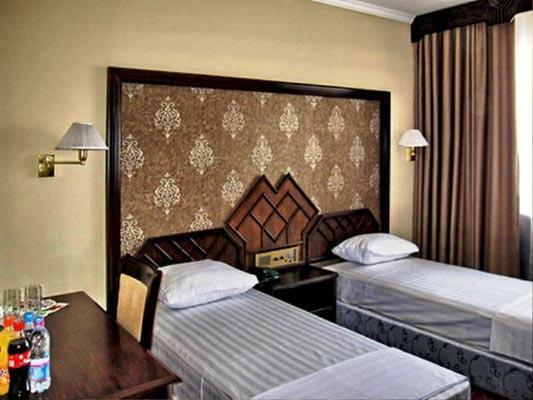 Afrosiyob Palace is a hotel in Samarkand. One of its advantages is its design and location. Architecture of this hotel is a mixture of different styles that perfectly match each other and leave great impression. 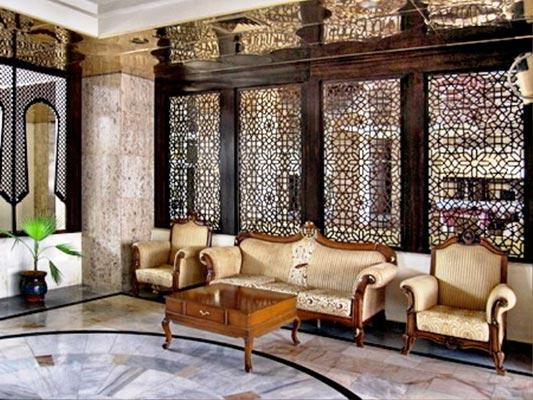 Out of the windows of the hotel you can see famous historical monuments such as Registan Square and Gur-Emir Mausoleum.The majesty of the building and friendly hotel personnel make you stay in this place enjoyable. 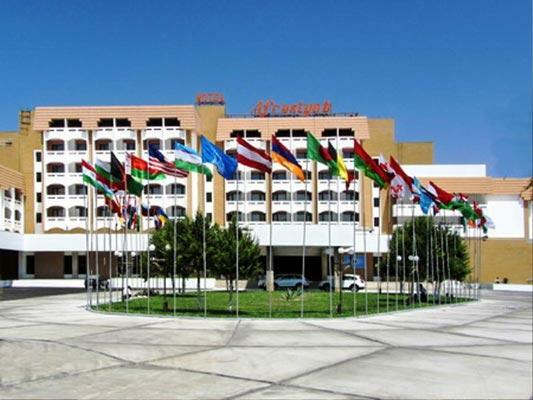 Afrosiyob Palace is Samarkand’s biggest hotel. 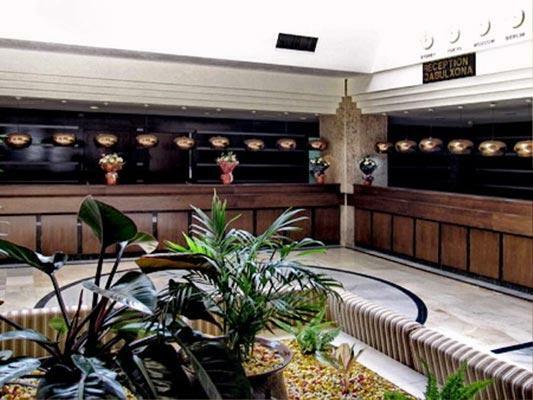 It has in total 278 rooms. 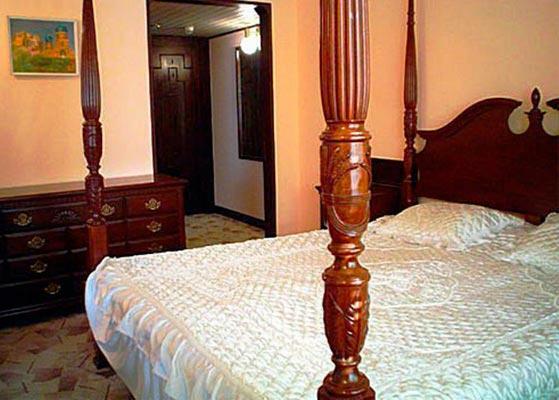 Rooms are divided into the following types: apartments, suites, single and twin. All rooms are with balcony and have everything for a comfortable stay: telephone, satellite TV, air conditioning, safe and mini-bar. 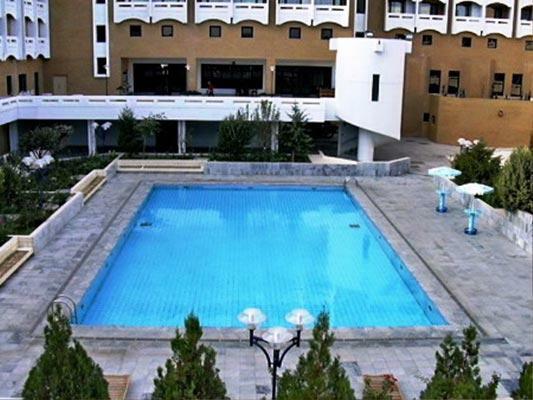 Facilities of the hotel are following: banquet halls and a restaurant that both serve Uzbek national and international food; cafes; bars; swimming pool (outdoor); fitness center; massage room and sauna-Jacuzzi. There is also a conference hall that can accommodate up to 300 people. During the conferences simultaneous translation is available in this conference room.The rest of the hotel facilities include: currency exchange office, art gallery, postal office, laundry, gift shops. 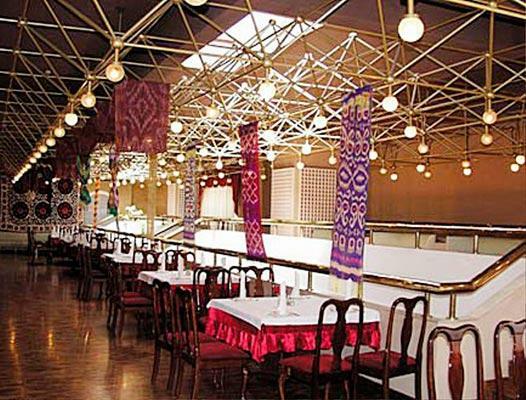 The hotel offers organization of individual and group tours around Uzbekistan. 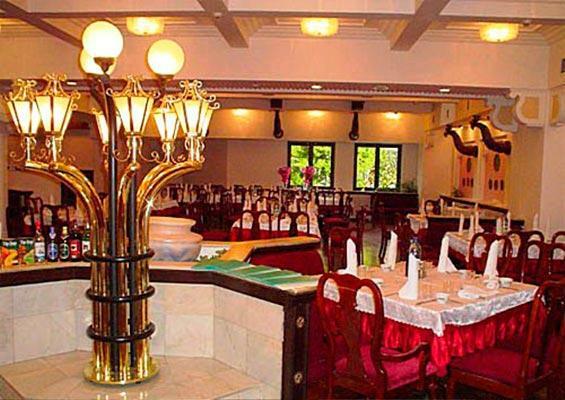 Afrosiyob Palace can provide with following services: visa support; housing, food, transportation, guided tours; luggage handling. 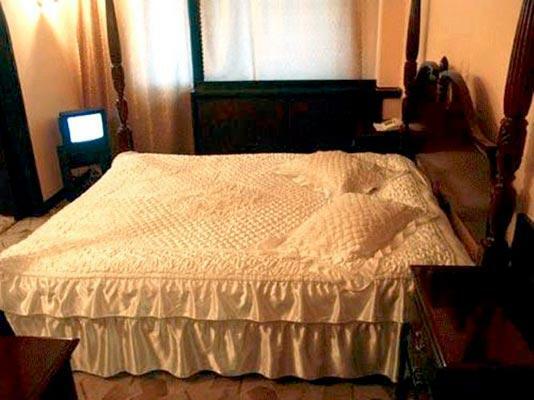 The hotel is in close proximity to major tourist attractions. 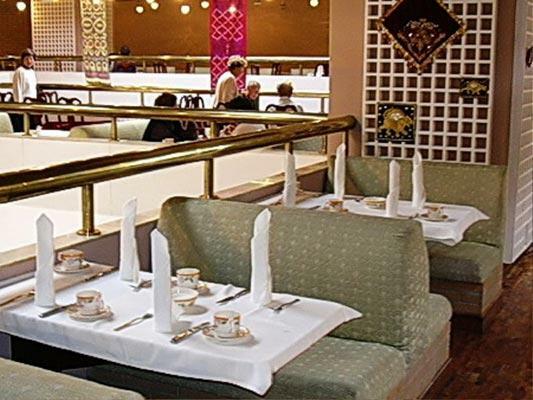 Location is very convenient: airport is 15 minutes away, railway station is 20 minutes away. There are historical monuments and different shops with goods and services for everyday life.